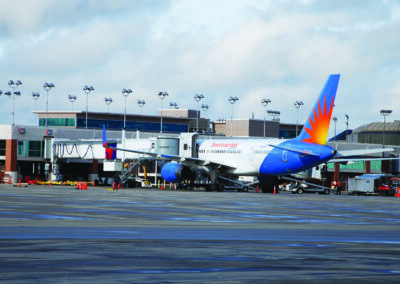 For more than 30 years, Crawford, Murphy & Tilly (CMT) has been completing successful airfield pavement evaluation and design projects for the Metropolitan Washington Airports Authority (MWAA). CMT’s history with MWAA began with the completion of a comprehensive Pavement Management System (PMS) conducted back in 1982. Since then, CMT has continued to be a consultant of choice for many airfield projects at Dulles International, including facilitating the airport’s pavement management strategies. In 2014, CMT was awarded its fifth consecutive multi-year agreement to provide pavement management and airfield engineering services for Dulles International Airport. 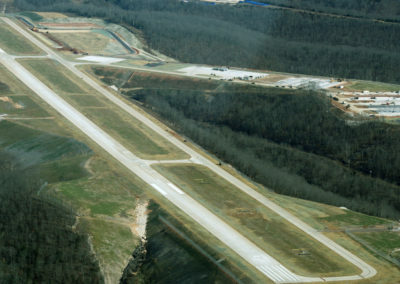 Throughout the past fifteen years, CMT has completed a variety of airfield rehabilitation projects under this contract. 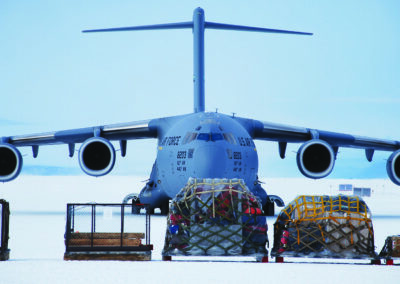 Under each multi-year assignment CMT has completed visual inspection of the entire airfield pavement complex — all runways, taxiways and aprons — and then applied a practical pavement management methodology that supplemented traditional PCI analysis with knowledge of airfield design, aircraft operations and budget constraints, to define pavement rehabilitation projects targeted at the most highly-valued pavements that were in the most need of repair. CMT’s approach has allowed the airport to maintain a steady program while improving overall pavement condition values with minimized costs.